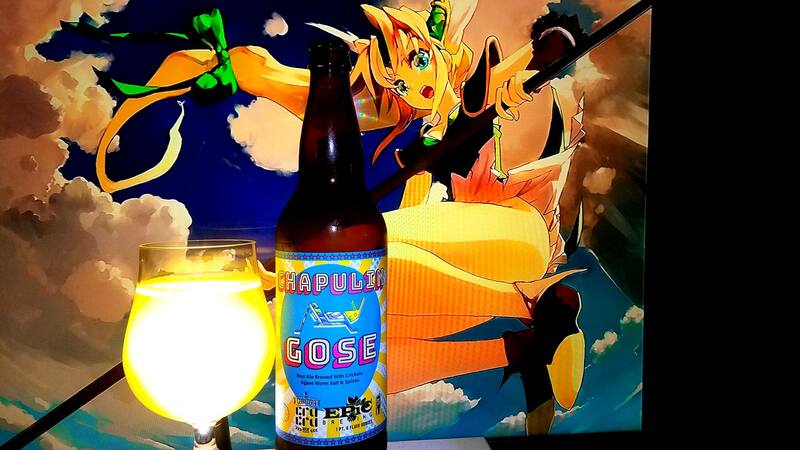 2016 Salted Gose by Angel City brewing is a 4.3% ABV German Gose. Found this one at my local market. 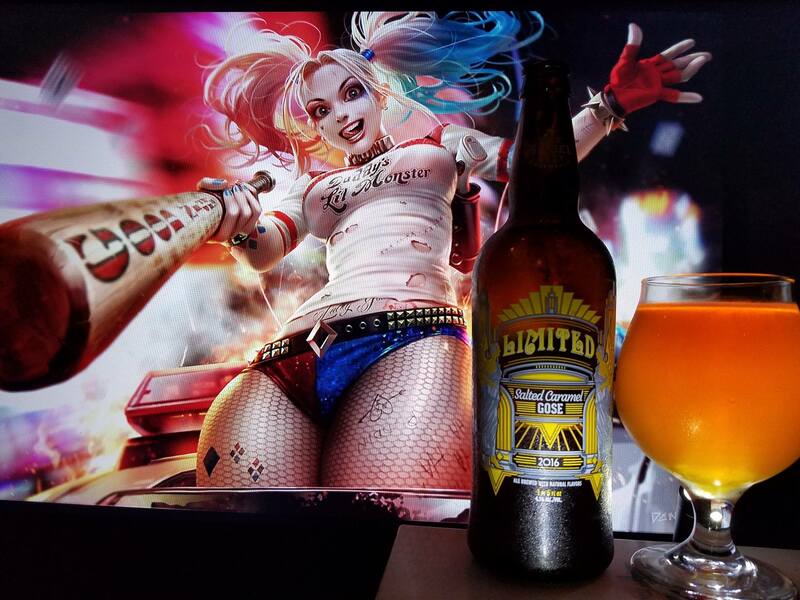 While I don’t often review Angel City brews since the most common ones are average to subpar at times, I have reviewed the intriguing and unique ones. 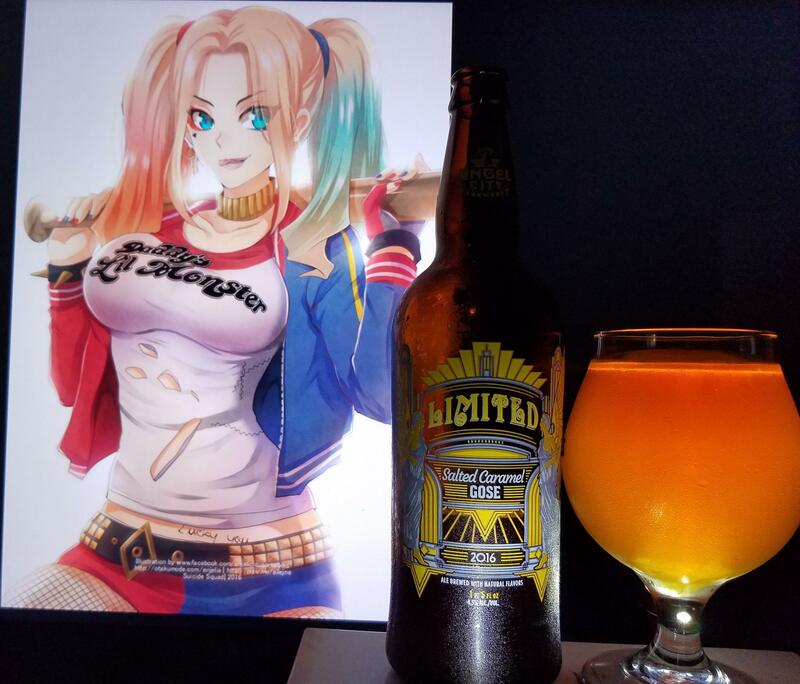 It is difficult to tell the quality of Angel City’s stuff as I know they contract brew through Samuel Adams so the beers you get in bottles are not always the same as the stuff you get at the brewery. Although the beers in the bottles have been very good recently. I can’t really speak for their local stuff as I have only been there twice. Needless to say, this Salted Caramel Gose was a unique one and I wanted to bring it to the site. Let’s have try shall we? Cheers! Dulce de leche caramel, salty caramel popcorn, vanilla, honey, passion fruit, Guava hints, lemon merengue pie, funky notes, earthy hops, sea salt, lemon juice, floral notes, biscuit bread, bananas, clove spice, peppercorn, mild butterscotch, salted maize tejuino, sour apples and tart strawberries. Vanilla, honey, almond, cereal notes, Dulce de leche caramel, Tart Guava, Lemon merengue pie, tart lemon juice, floral notes, biscuit bread, bananas, clove spice, peppercorn, salty caramel popcorn, candy corn, ginger notes, ginger bread, grapes, wine grape hints, funky notes, earthy hops, sea salt, mushrooms hints, maple syrup, mild butterscotch, salted maize tejuino, sour apples, tart strawberries, kiwi, mild passion fruit and toffee hints. Finishes dry with cereal and honey hints, almond, caramel, vanilla guava and salted caramel popcorn. No alcohol in the taste, honey colored clear body, crisp, clean, refreshing mouthfeel and easy to drink. 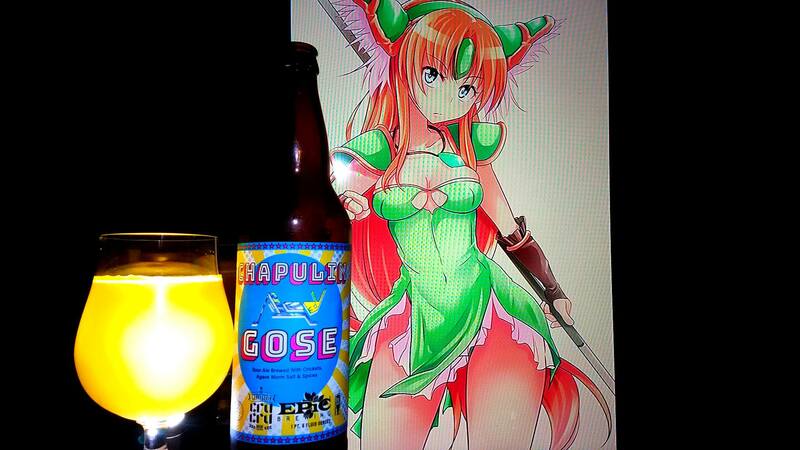 Very delicious gose. It is amazing how they were able to get the sweet caramels, toffee, vanilla and other flavors to meld with the salty and dry flavors of from the Gose. 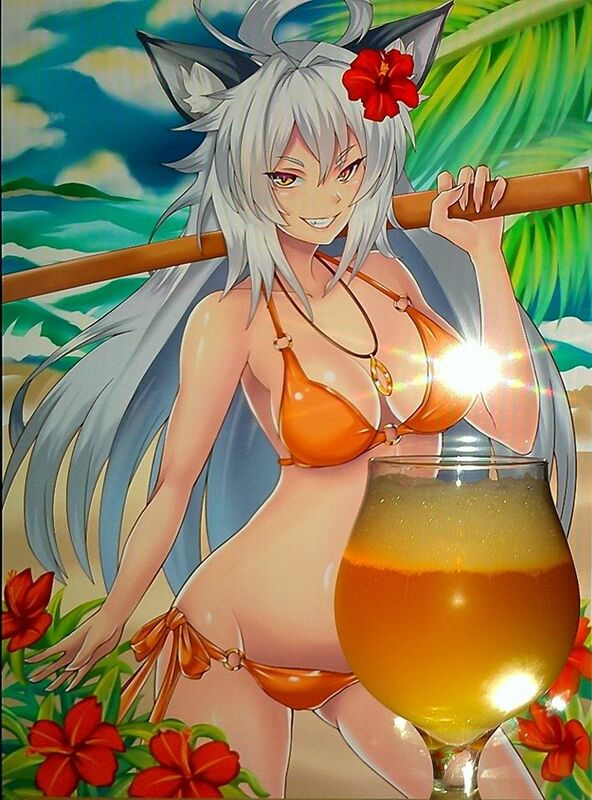 Simply put, a light fluffy dessert beer. 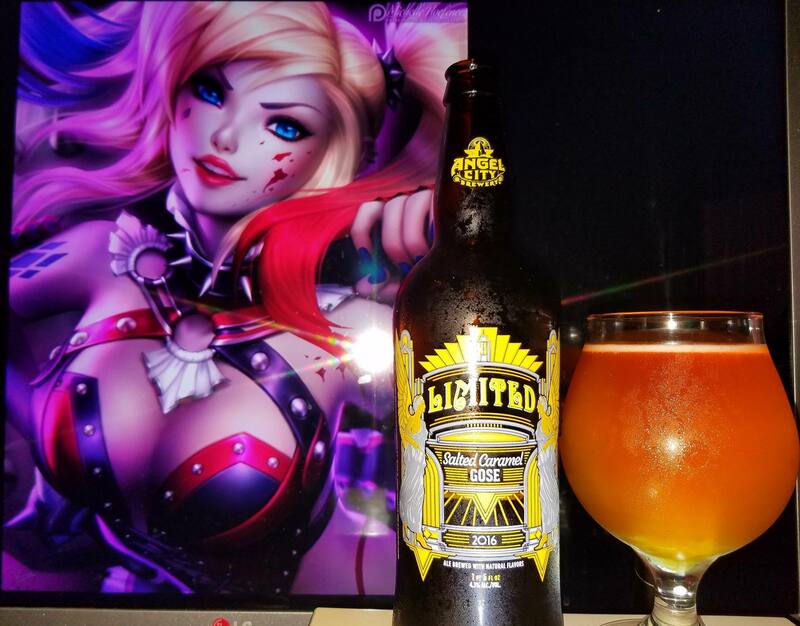 I must admit, I really hope this taste just as good locally than in the bottle because bottle wise they really have a winner here. 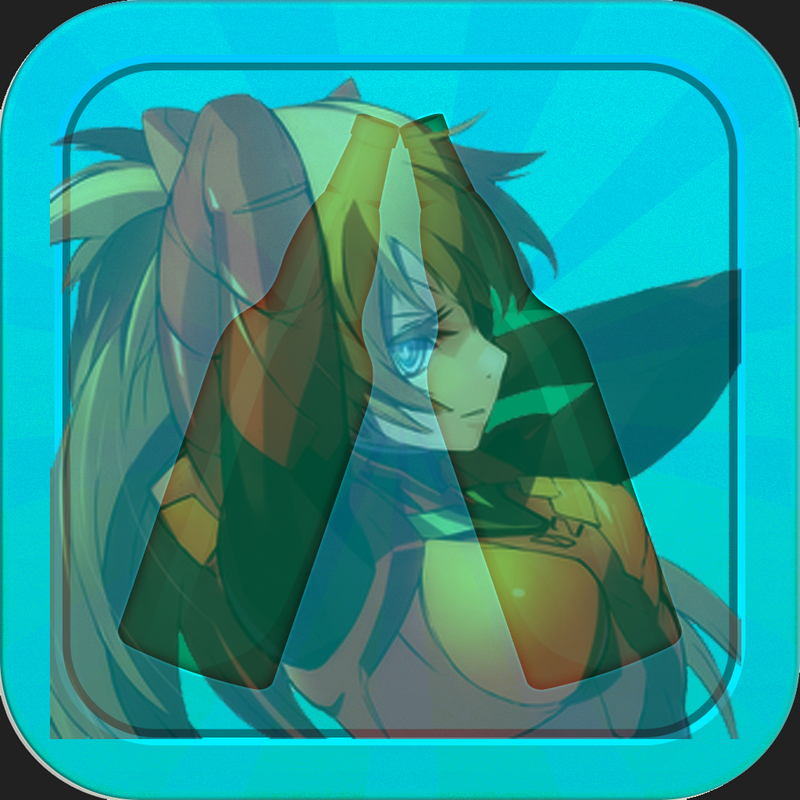 I will definitely get this again and would recommend you give this one a shot too. Harley Quinn from DC’s Batman and Suicide Squad was used in this pairing as I wanted to pair her with attitude. 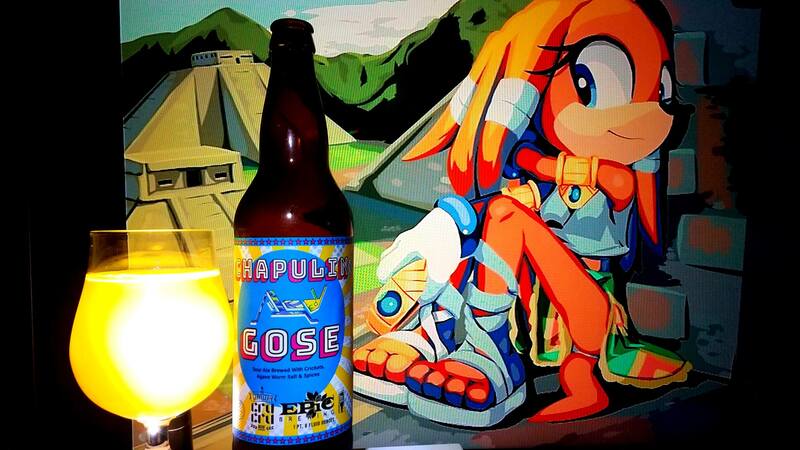 The name of the beer is Salted Caramel Gose. Essentially, sweet but salty. 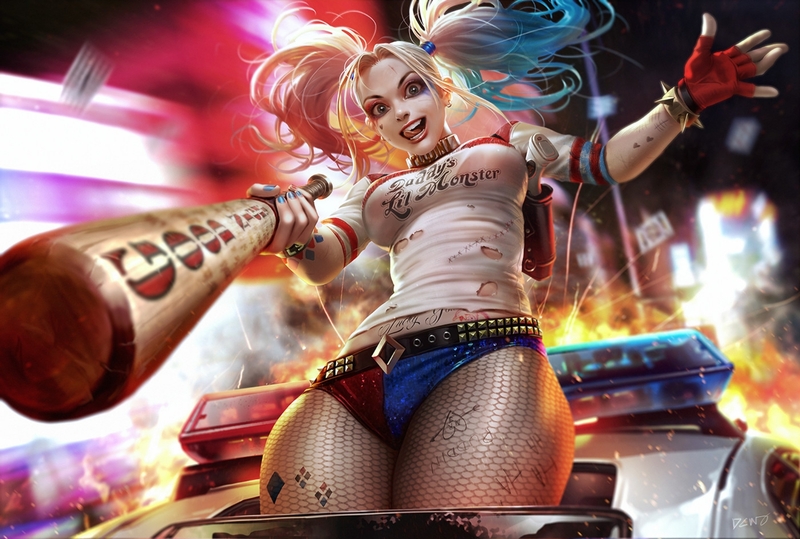 Harley is an awesome sweet and hot looking character but she is too unpredictable and psychotic like her partner, the Joker. 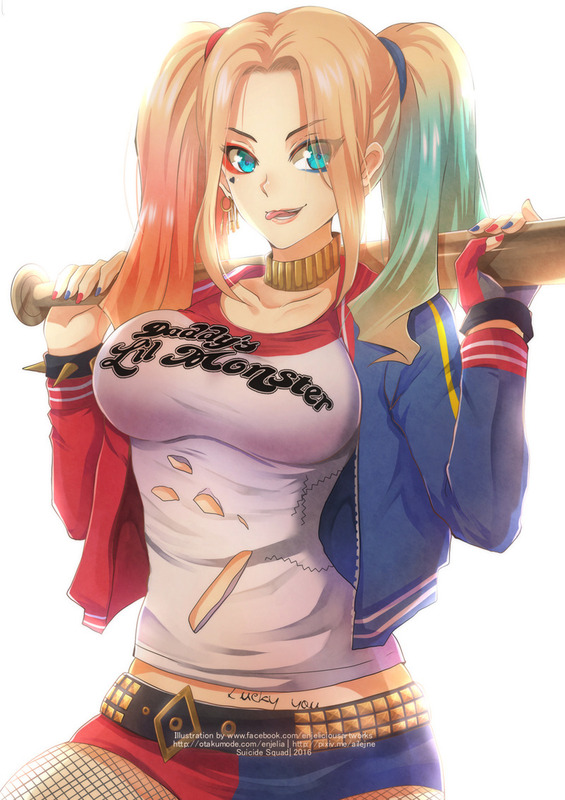 Well, Joker is technically leagues above her in that department but the funny part is that she can take you on a pleasure cruise before it is all over and you’ll be swimming with the fishes in the salty sea. 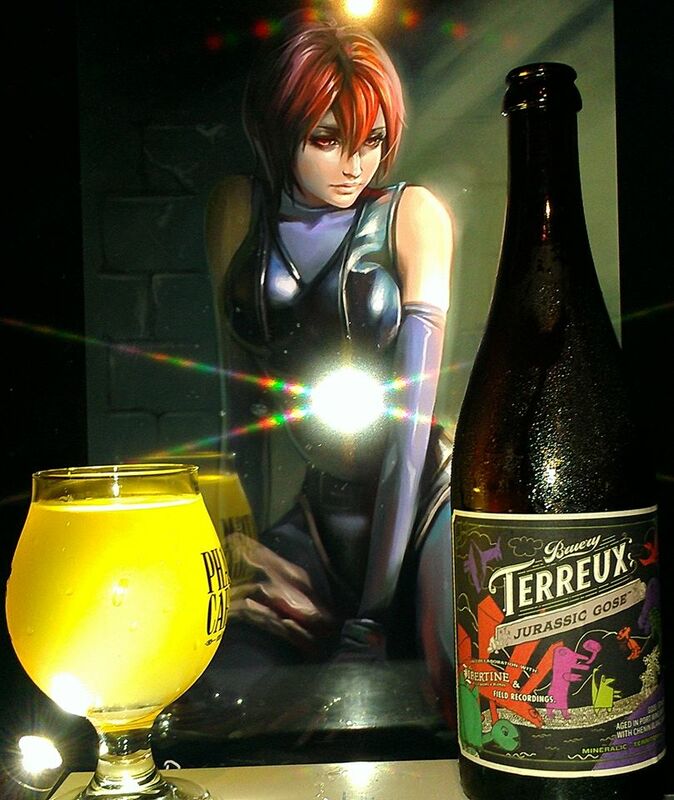 Jurassic Gose collaboration by The Bruery Terreux, The Libertine Wild Brews & Blends and Field Recordings is a 9.7% ABV Gose aged in Port Wine barrels with Chenin Blanc Grapes. Gose, port wine, chenin blanc grapes, sea salt captured from the Pacific Ocean. None of these existed in the Jurassic era. The creatures that roamed the earth 145+ million years ago had neither the brainpower nor wherewithal to concoct such a creation and collaboration of this magnitude. Fast forward to present day with Bruery Terreux, Libertine Brewing Company and Field Recordings, and these dinosaurs could learn a thing or two about adapting to the environment and making the most out of terroir around them. And that’s exactly where we sought inspiration (and borrowed artwork from our offspring) in the creation of Jurassic Gose. 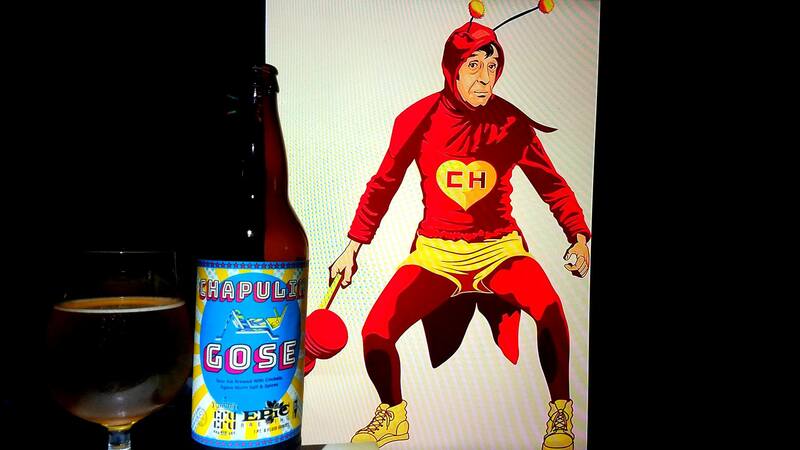 This tart, wheat-based ale is our exploration of a West Coast gose. Jurassic Gose is brewed using the stein beer method with locally-sourced rocks, and features grapes from Jurassic Park Vineyard and sea salt from the Pacific Ocean. Aged in port wine barrels with chenin blanc grapes, this wild collaboration emerges as mineralic, territorial and dry. 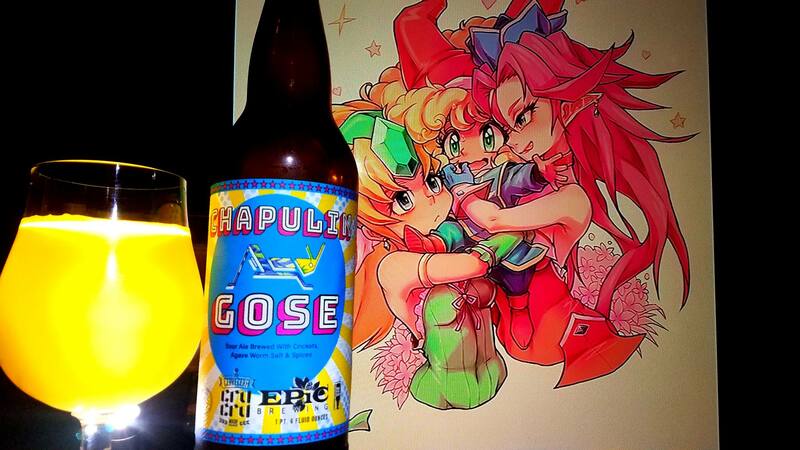 It’s unlike any gose you’ve had before – in fact, it’s from an entirely different era. Released to The Bruery’s Hoarders and Reserve Societies, this Gose was something I wanted to get on the name and ingredients alone. 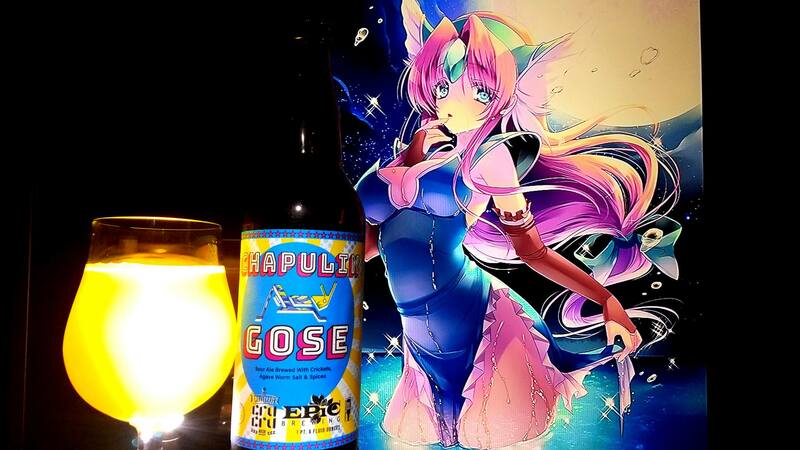 Having only tried few Gose in the past, I wanted to bring their take on this German salty brew to the site. The name makes me think of tropical aspects or exotic flavors. I don’t think this is made ancient ingredients or dinosaurs but it sounds like it may have been inspired by it. Let’s have a look, cheers! Lemon peel, peppercorns, citrus oranges, tangerines, flowers of hibiscus, lavender, chamomile, roses, stone fruit peaches, apricots, chardonnay, salt, yerba buena, mint, vanilla, tropical fruits like pineapple, passion fruit, dragon fruit, honey dew melon, tamarind and grapes. Lots or tropical fruits like pineapple, passion fruit, dragon fruit, honey dew melon, tamarind, agave nectar, salty Teguacan and Tejuino Mexican Maize drink, limes, tangerines, funky wine grapes, dark fruit port wine, lemon peel, peppercorns, citrus oranges, tangerines, flowers of hibiscus, lavender, chamomile, roses, cane sugar, crème brulee, stone fruit peaches, apricots, mushrooms, brown sugar, celery salt, yerba buena, mint, concord grapes and chardonnay. Finishes very dry with stone fruit, dark fruit, tropical fruit and salty tamarind notes along with port wine grapes. No alcohol in the taste, pale light golden body, crisp, refreshing, smooth and effervescent along with an easy to moderate drinkability. There was so much going on in this beer that I considered exceptional. 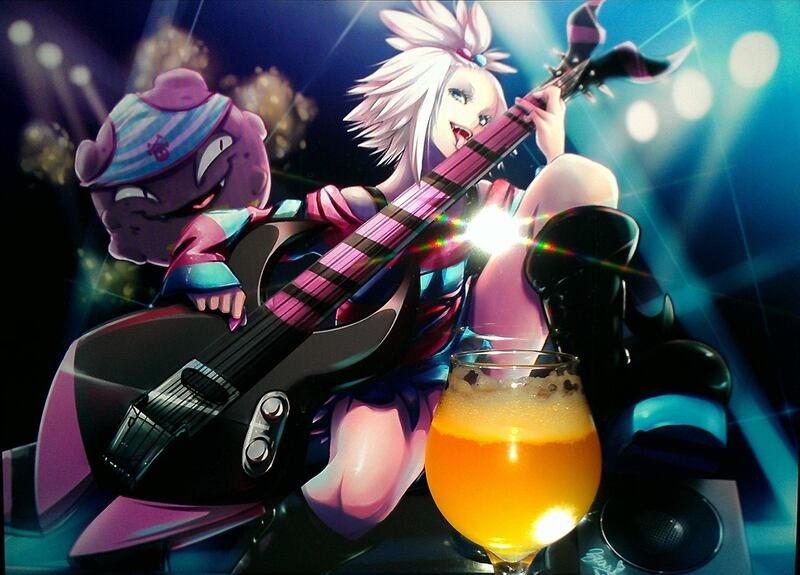 From the wine notes and tropical fruit to the funky notes and salty notes, it’s definitely not your average sour. I don’t think I have had a brew aged in port wine before (except maybe Sucre Port Barrel) and since some of the port wine notes are my favorite notes in some beers, I figured this one would be one of the best to try. 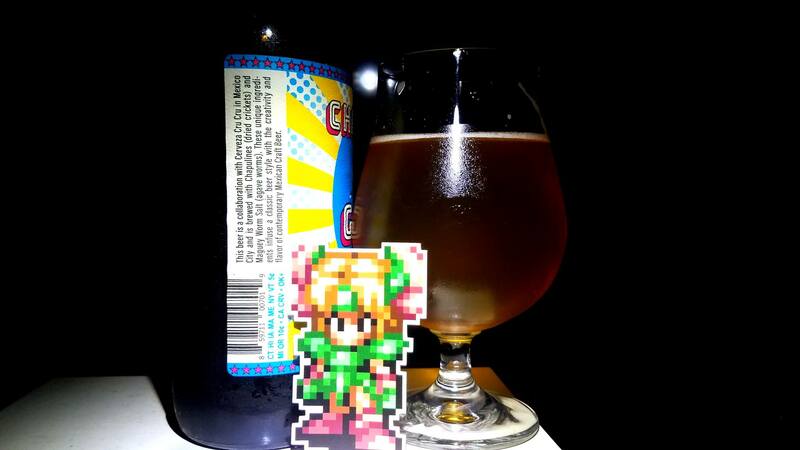 I would highly recommend this one if you love sours or salty funky brews. Regina from Dino Crisis was used in this pairing as I wanted to get a character that was in a dinosaur game. I had played this game back in the PS1 days and I still remember a good amount of it. 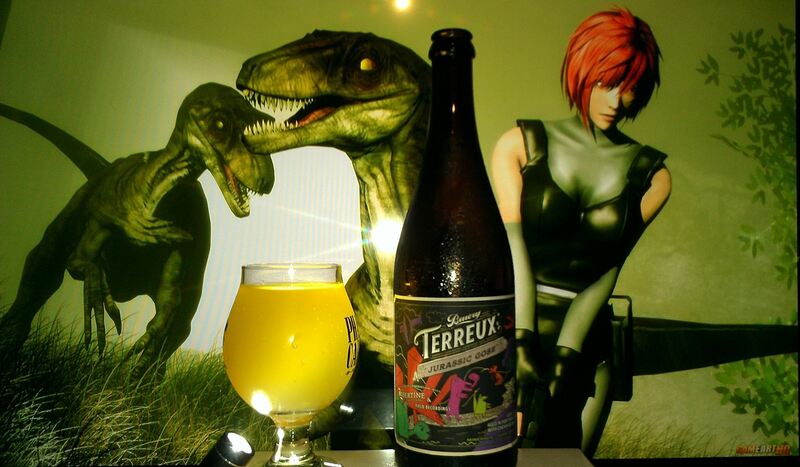 So to go with the whole “Jurassic” theme of the beer, I decided to use Regina which I feel worked perfectly including the tropical flavors one with her and the T-Rex. 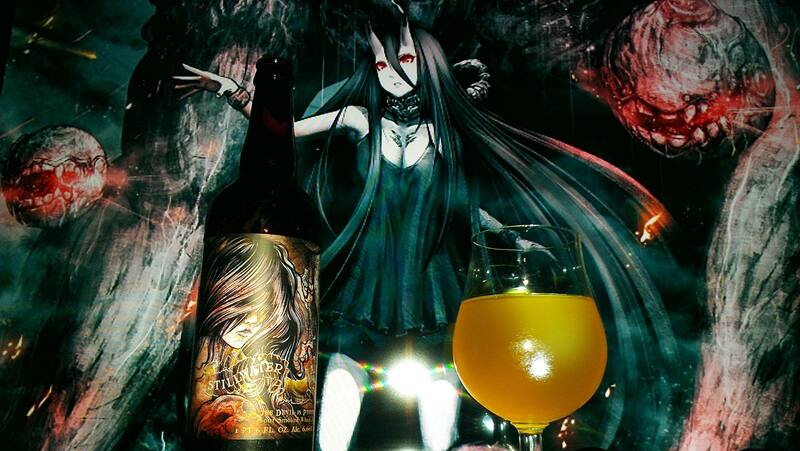 The Devil is People by Stillwater Artisanal is a 6.66% ABV Sour Smoked Wheat Ale/ Smoked Gose. Finally got around to bringing another Stillwater Artisanal beer to the site. It surely has been a minute and my reviews have been lacking but dying to bring some Stillwater goodness to the site. 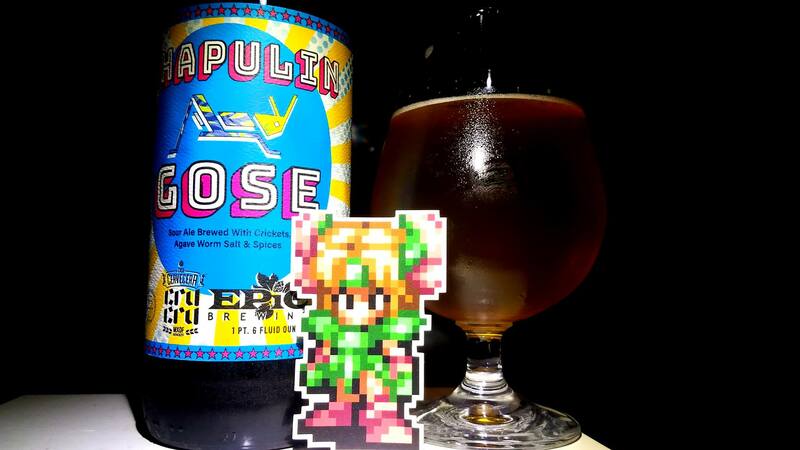 This time I bring an interesting beer. 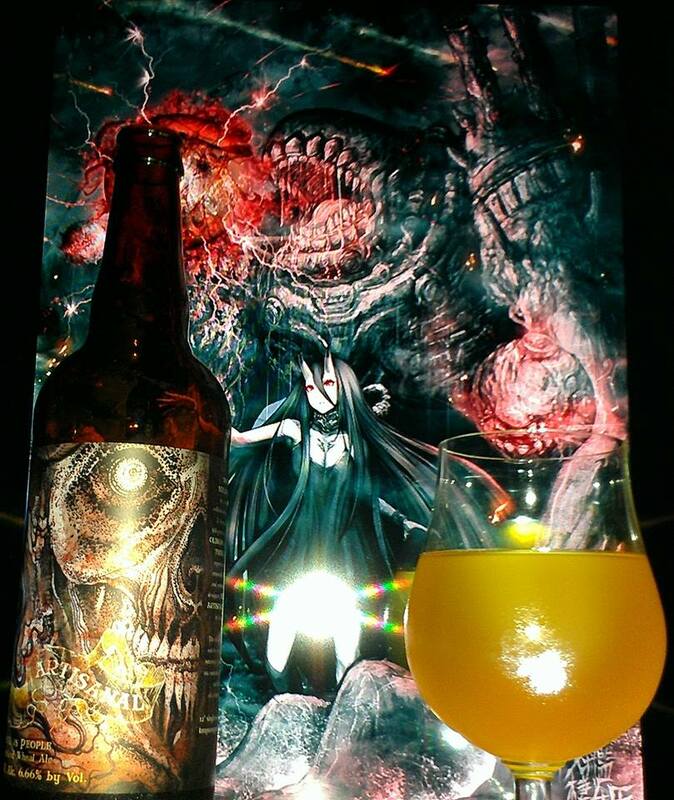 Aside from the whole occult aspect which really intrigues me, this is a smoked wheat beer. I want to say that my first experience with sour wheat ales has really been from Texas. Thanks to my friend Aaron Mendiola of beermetaldude.com, I have tried the style in the past a couple of times. So to have it from Stillwater, this is going to be an experience for sure. 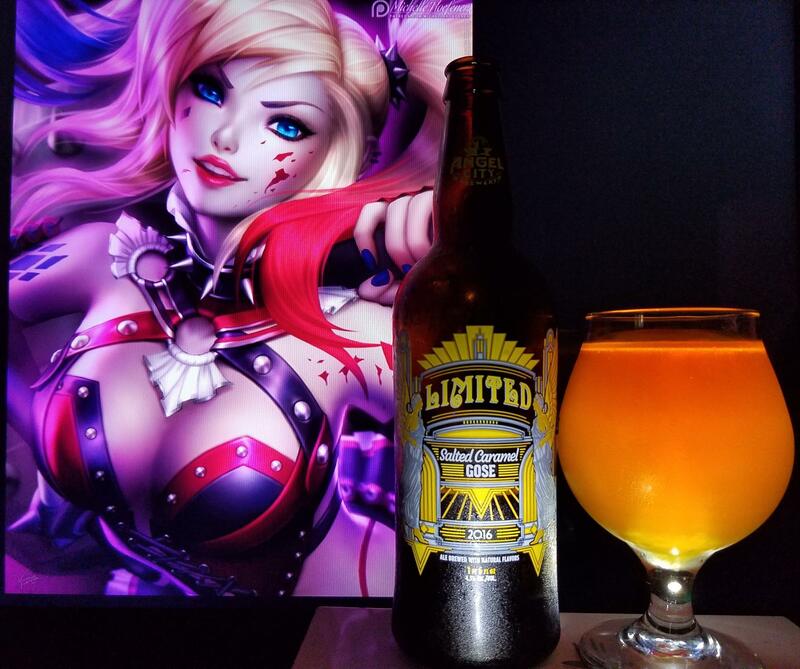 Let us take a dip into the darkness that is, this light looking beer! Cheers! Lemon peel, straw hay, crackers, farmhouse hay, smoked jerky, peppercorns, wheat, coriander spice, Oranges, White grapes, Sage spice, Sour grapes, funky must, mushrooms, earthy notes, Tejuino, sea salt, lavender, hibiscus, rose hips, juniper berries, lemon drop and smokey campfire notes. Oranges, Lemon peel, White grapes, Sage spice, Sour grapes, funky must, mushrooms, earthy notes, oak, vanilla hints, smokey campfire notes, Tejuino, sea salt, lavender, hibiscus, rose hips, juniper berries, lemon drops, crackers, farmhouse hay, smoked jerky, peppercorns, wheat, coriander spice, beachwood, stone fruit tart apricots, tart green apple hints, mango and pears. Finishes dry with some sour notes, sea salt, smokey notes, tart fruits and flowers. No alcohol in the taste, light golden body, crisp, refreshing and moderate mouthfeel with a moderate drinkability. If you love smokey and sour beers, damn this is a damn delicious blend! Stuff is very pleasant sour and smokey with hints of sweet and sour and salty goodness. For the Gypsy brewer who focuses on the saisons and wild ales, this is definitely a winner in my book. Aside from the captivation and great art work, Stillwater has yet to let me down and the beers are always some of the best out there. Cheers! Battleship Symbiotic Hime from Kantai Collection/ KanColle was used in this pairing to pair with the woman in the label but also the skeleton/devil figure of the label. 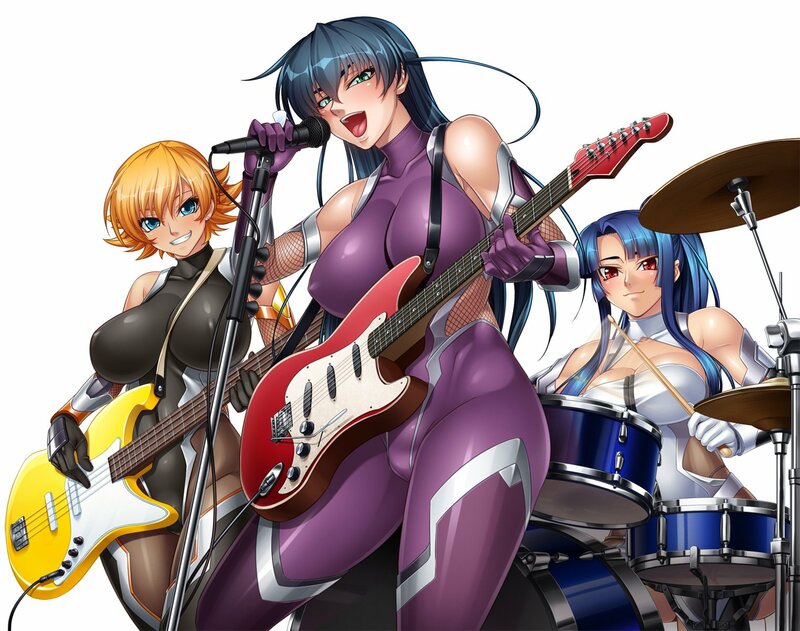 It is kind of ironic how this piece actually contributes to both the Metal Pairings my friend Aaron does and the Anime Pairings I do. 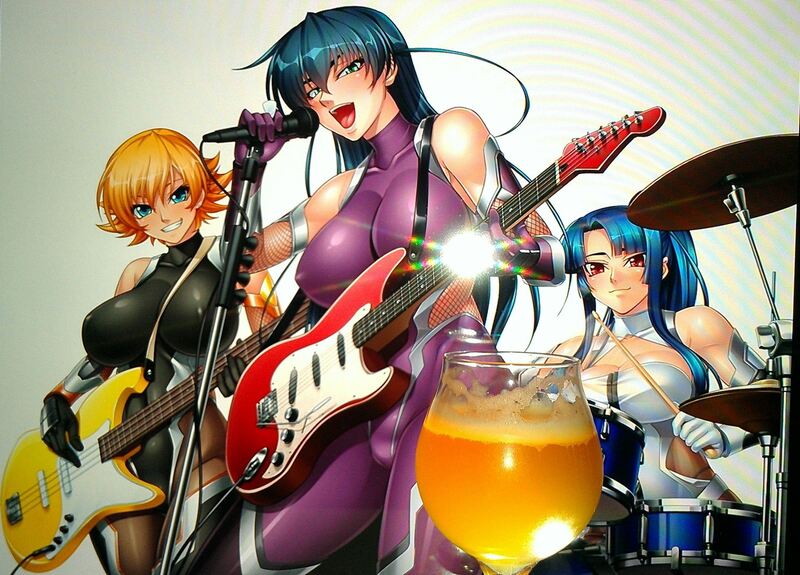 It is almost like the beer was made for both Anime and Metal!? Yes, this does exist! !